Welcome to Biloxi, a city in the Harrison County, perched on the shores of the Mississippi Sound. You will find that Biloxi has the small town charm with all of the amenities you could ask for. It’s nickname name being “The Playground of The South”, you'll find nine first-class casino resorts in Biloxi, with most offering championship golf courses, fine dining and buffets, top-name entertainment and an array of other amenities. Although it is the third-largest city in Mississippi, it has a warm, small town atmosphere with quick access (via I-10 and 10) to beautiful, white sandy beaches, resorts and casinos, and the premiere country club in the south, Gulf Hills Golf Club. With a plethora of museums like the Mardi Gras Museum, Maritime and Seafood Industry Museum and Biloxi Fire Museum, you’ll find something to do for everyone in the family. Or if you’d like to explore the history of the city, discover some of the historical sites like the Jefferson Presidential Library, the Biloxi Lighthouse and the Mississippi Blues Trail. 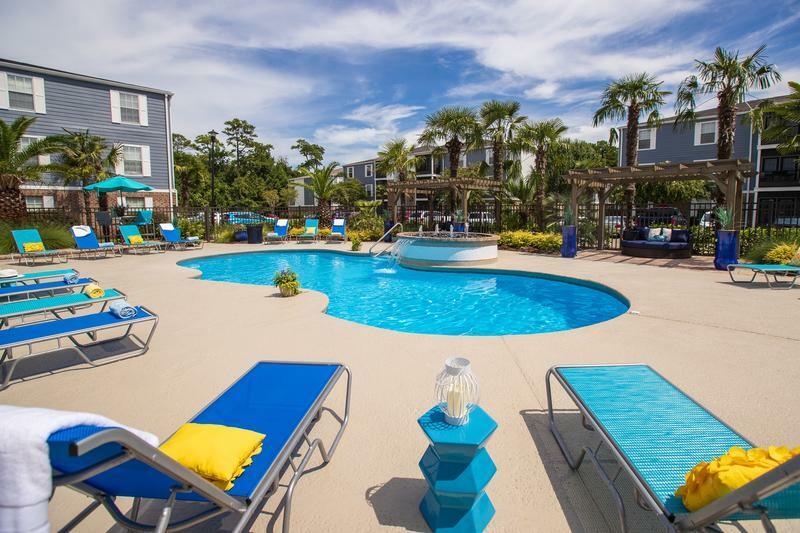 What’s Near Our Biloxi, Mississippi Apartments? Each apartment at The Sound at St. Martin, features walk-in closets, central AC and heat, stainless steel appliances, and electric fireplaces. Enjoy your morning meals at your breakfast bar or take it outside to your private patio or balcony. Our apartments for rent range from 730 to 1,100 square feet, with your choice of a one or two-bedroom floor plan. Your dog will love the Sound at St. Martin, with our off-leash dog park and pet stations conveniently located throughout the community. Even large breed dogs are welcome. Our apartment community also offers a fitness center, resort-style pool with a fire pit and expansive sundeck. Learn what everyone has to say about the Sound at St. Martin and schedule your tour today.